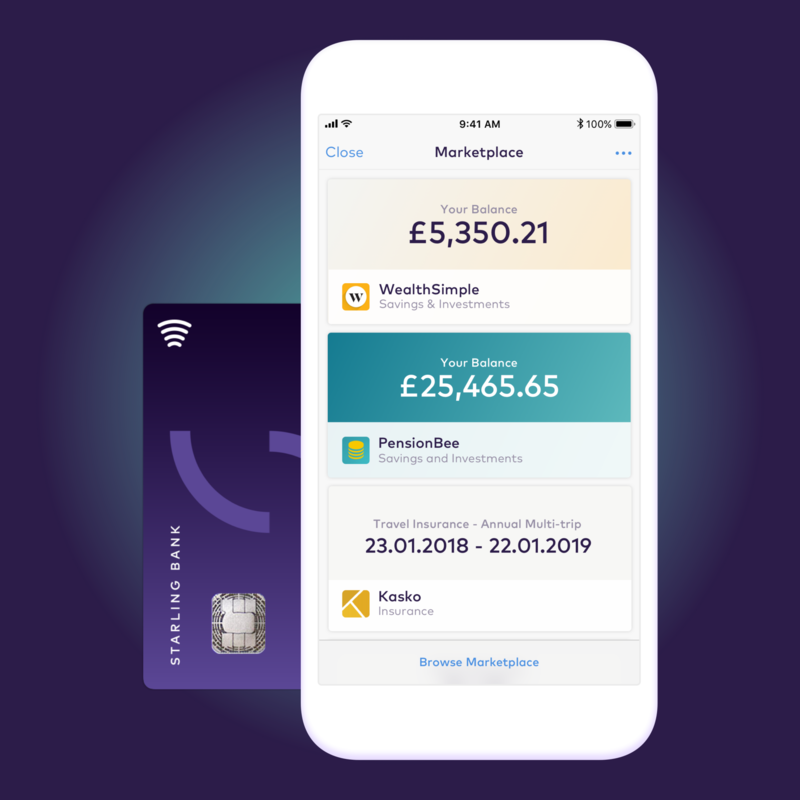 UK challenger Starling Bank’s in-app Marketplace has got more love and attention with a brace of new partners. Following approval from the Prudential Regulation Authority (PRA) and the Financial Conduct Authority (FCA) in December, the Marketplace is Starling’s plan to give customers direct access to products on their phones. Providers include insurers, pension providers, investment platforms and mortgage brokers amongst others. The Marketplace officially went live in September. Megan Caywood, chief platform officer, Starling Bank, says last year it launched its “full set of open APIs, and enabled integrations with companies like Moneybox, Yoyo Wallet, Yolt, Tail, and Flux” and today’s (13 February) announcement takes it to “the next level by integrating financial services providers”. The new group of partners includes the digital pension provider PensionBee, digital investing service Wealthsimple, mortgage broker Habito and Kasko travel insurance in partnership with AXA. PensionBee will be available from today, and it offers a real-time pension balance, alongside a real-time current account balance. The others are coming online over the course of the next few weeks. Starling says it is aiming to announce at least 25 throughout the year. In a separate development, a week ago, Flux, a rewards and receipt platform, became the first partner to integrate digitised loyalty rewards directly into Starling’s mobile app.